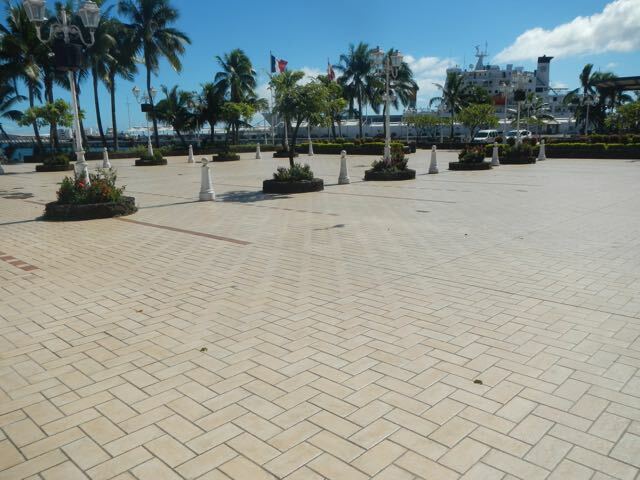 Ah, Saturday morning in Papeete! We have the day to ourselves with no mechanics threatening to fix anything. 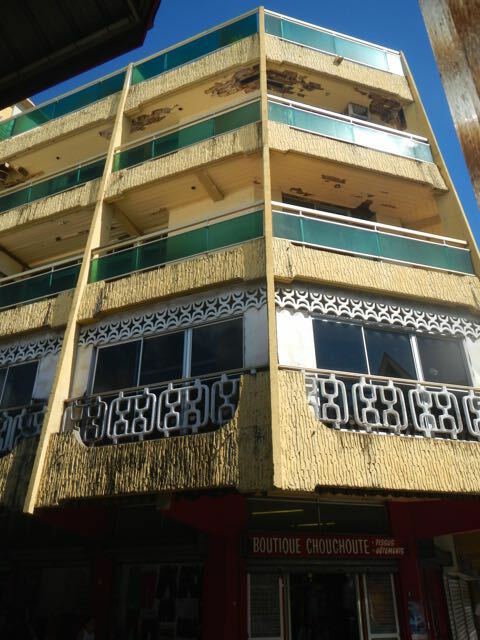 We relax and decide to take a walk around town. 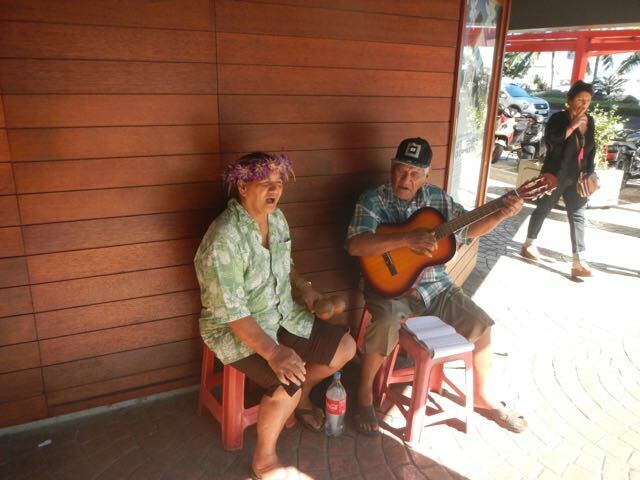 Just as we crossed the street from the marina to the main part of town, we came across these two oldsters singing for their supper. Coins in the collection box allowed a photo. 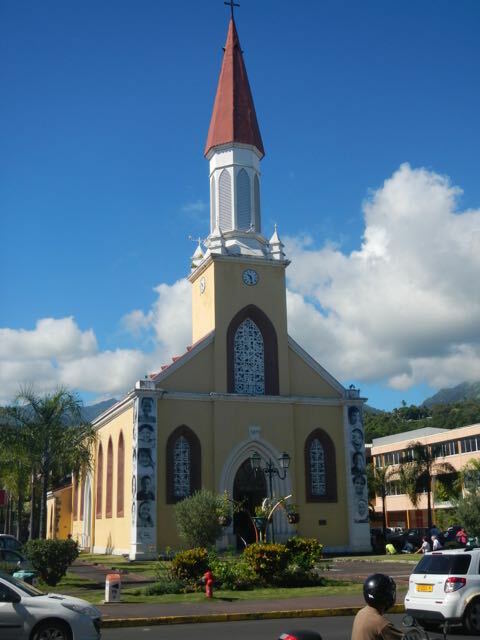 This is the Cathedral of Papeete, and old Catholic church. 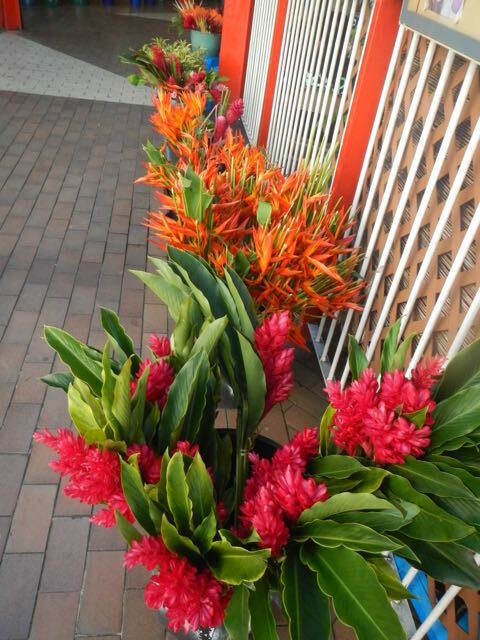 Tropical flowers greeted us as we entered the Saturday morning market. We've seen all of these grow in the wild. More music! 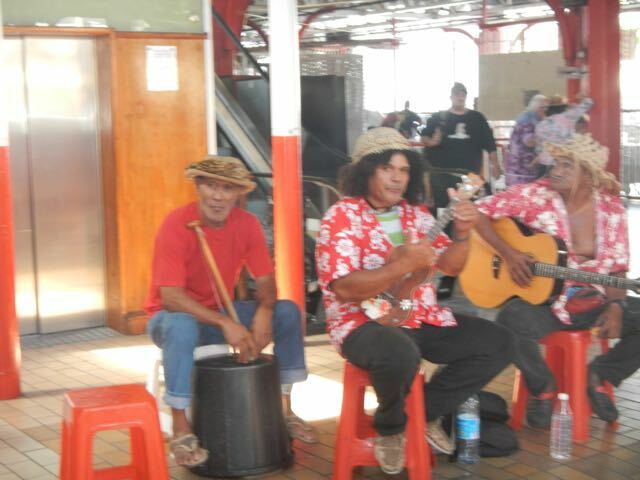 A ukulele player was talking to a friend and was missing from his orange stool, but his colleagues were ready to play, including the washtub bass. 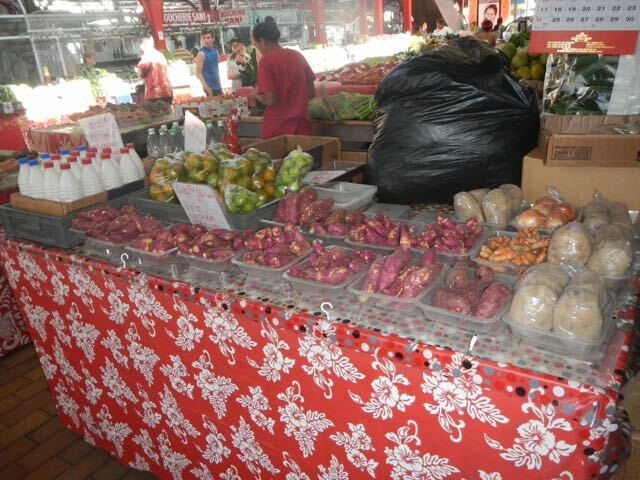 Vegetables, most of which we could not identify, were for sale. The white bottles are coconut milk and coconut creme. 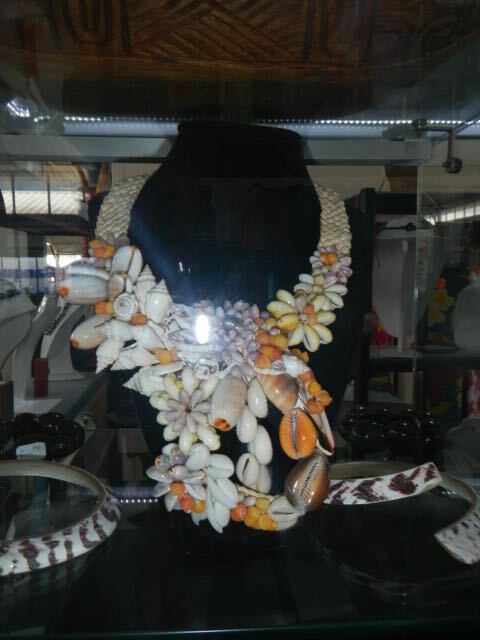 The locals can create some stunning jewelry out of shells. 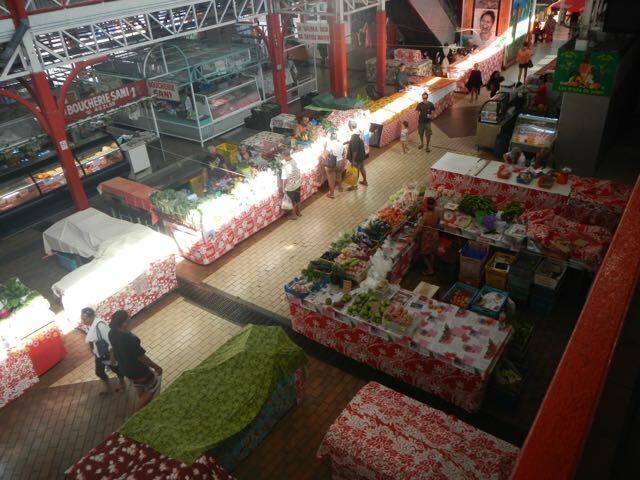 From the upper deck we can see the busy shopping floor. 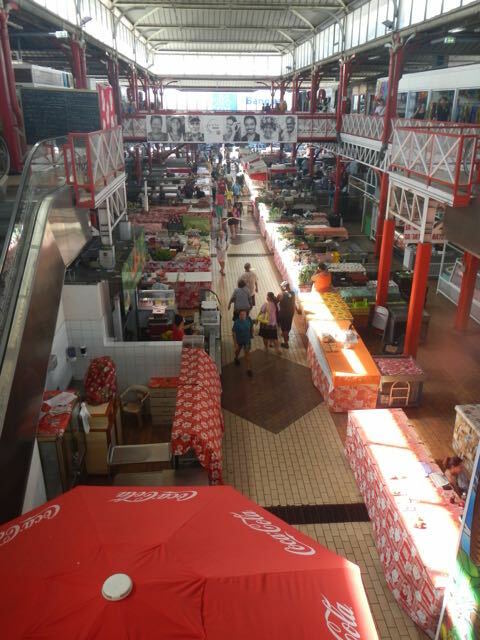 The market starts at 0500, our 1000 arrival time found some of the stalls already closed. Another view of the main floor give some impression of the enormous size of the facility. Local honey glows in the morning sun. 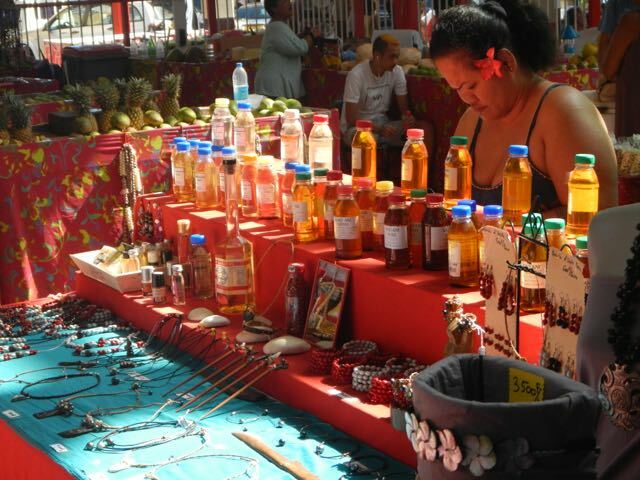 The flower above the vendor's left ear designates a married woman. The Polynesian soft drink of choice is a green coconut. 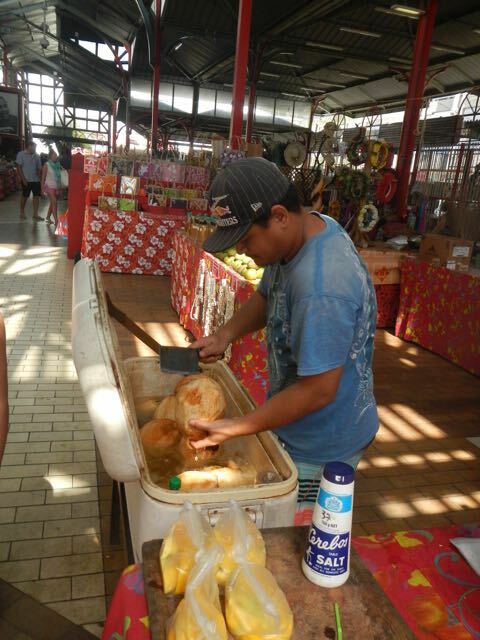 These are stored in ice water, the seller chops a hole in the top as here, and provides two straws. 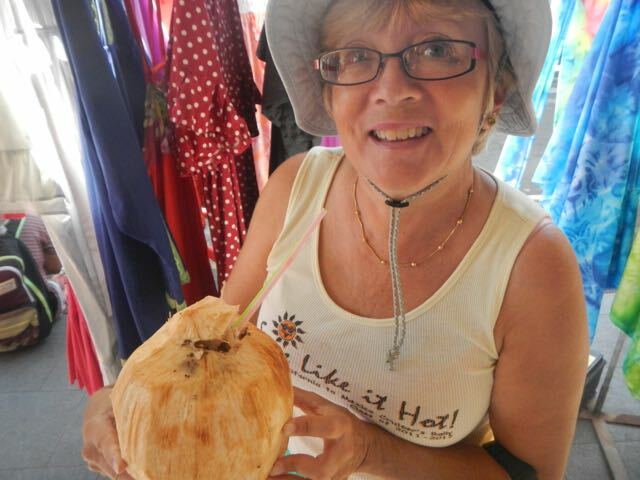 Not much better on a hot day than a refreshing coconut. Lovely Conni holds the "bottle" and smiles after a long sip. Most green coconuts hold about a liter of refreshing liquid, although it's not just water. The bottles auto-recycle. Conni photo. She's intrigued by the concrete texture made to look like thatching. The site of the roulottes is an empty square during the day, but by late afternoon, it begins to fill with vehicles that explode into restaurants. The hungry crowds quickly follow. 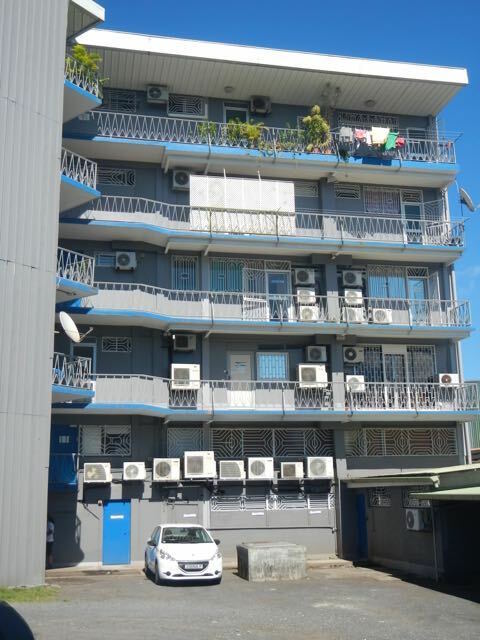 A walk-up apartment block in downtown Papeete, showing the great gift of western engineering: the air conditioner. We were after a quick lunch, and stumbled on a true find. It was a Saturday, midday, and it filled with French people. We think that it's a local meeting place for French ex-pats. 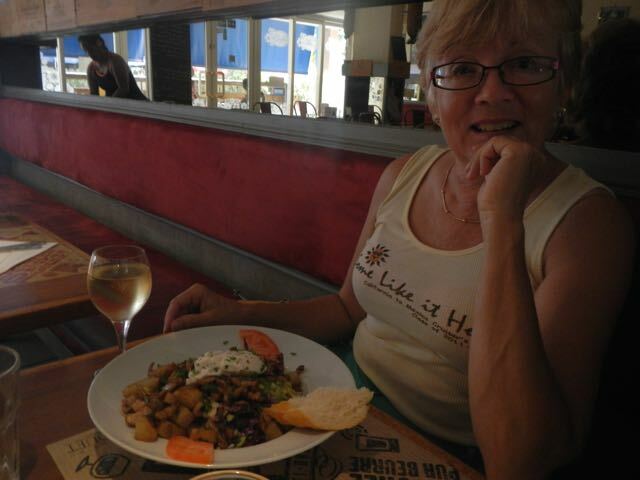 The meal was superb, with service to match. It's on our list.